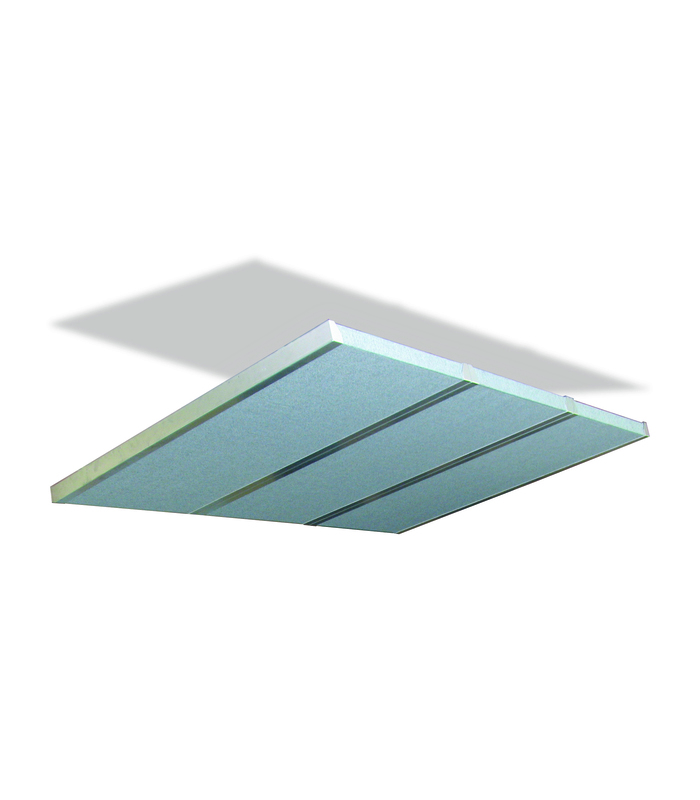 The Stratus Broadband Ceiling Cloud (Beige) from Primacoustic is a 2" thick, high-density absorptive panel designed to provide an acoustic treatment where you want to control primary reflections, eliminate flutter echo, and reduce standing waves. Suspend the panel over your recording console to virtually eliminate conditions that cause standing peaks in your critical mix position. Once installed, this unit will produce a more controlled and intimate acoustic environment with a larger sweet spot and reduced ear fatigue. The panel absorbs sound energy by converting it to heat. Sound energy traveling via air vibrations, penetrates the panel, and causes the minute glass fibers to vibrate and generate heat. This transfer of thermo-dynamic energy effectively absorbs directional sound energy, thereby preventing it from reflecting into your mix position. The panel ships in kit form, but can easily be assembled using nothing more than a screwdriver. All hardware, including a suspension kit, is included with the unit. This model is made from 6-pound-per-cubic-foot fiberglass and has a panel depth of 2". The fiberglass is encapsulated in micromesh and edges are resin-treated to retain small fibers. To provide a clean aesthetic look, the panel is covered in an acoustically transparent fabric. Adjusting the angle of installation and the space between the panel and the ceiling can further enhance the absorptive performance of this product. Stratus Cloud Beige from Primacoustic is 100% original and brand new. We, at Melody House take pride in our after sales service and support. For further details on the stratus cloud beige, Primacoustic, simply write to us to consult an expert or order online and we will take care of the rest. Happy Shopping!